UFLEX US project goes full steam ahead.. The India-based UFLEX Group, one of the world’s leading producers of Flexible Packaging materials, has made considerable progress on its new greenfield Packaging Films project in the USA since the signing of the MOU in April 2011 with the State of Kentucky, where the facility will be located. The total project outlay will be approximately US$ 180 million, half of which will be spent on the first phase with the setting up a state-of-the-art Biaxially Oriented Polyester (BOPET) Film line and a plasma enhanced high-barrier metalliser. At 8.7 meters width and running at 500 meters/minute, the line will be one of the world’s largest film plants and will be bigger than any other film line presently operating in the USA. It is due for start-up before the end of 2012. 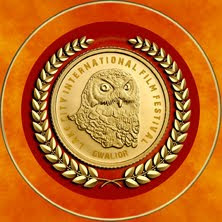 The project is being set up under the aegis of Flex Films (USA) Inc., a new company set up by UFLEX. Land for the project has already been allotted and the company has finalised its choice of engineering consultants. Engineering for the project is at an advanced design stage. The company has appointed Ram Srivastav as the Business Head for this operation. Srivastav is an alumnus of IIT, Delhi and Columbia Business School, NY and brings with him several years of rich international CEO-level experience in management consultancy, project management and running of industries in the energy, technology/software and manufacturing sectors with prestigious organisations like Schlumberger and A.T. Kearney.The ground breaking and commencement of civil construction at the site is slated for October 2011. 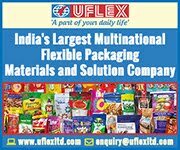 The UFLEX Group is India’s largest Flexible Packaging conglomerate and is the world’s only fully vertically integrated company in this business. Its products include plain and metallised films, flexible packaging laminates, bags and pouches, PET resins, holographic materials, printing inks and coatings, adhesives, rotogravure cylinders, flexographic plates, packaging machinery and converting machinery. All these products are manufactured in-house in state-of-the-art global scale facilities and present annual revenues are about INR 41 billion (US$ 910 million). Because of its extensive domain knowledge of every link of the Flexible Packaging value chain, it offers a wide variety of customised end-to-end solutions for almost any packaging application. Its depth of understanding and expertise enable the delivery of optimum packaging solutions to its customers. The Group is a leading international player in Flexible Packaging with an extensive global manufacturing and marketing footprint. At last count, its products are used in 110 countries and this number is going up all the time. UFLEX has several manufacturing facilities in India as well as one each in Dubai, Mexico and Egypt. It is in the process of setting up large Packaging Film plants in Poland and in the USA that will become operational during 2012. It is the world’s largest supplier of BOPET Films for Packaging applications. FLEXcon, an innovator in adhesive coating and laminating, will break ground and expand its Spencer (MA) headquarters with the construction of a new, two-story, 20,000-sq-ft technology and innovation center. The expansion will allow research and development (R&D) teams to closely collaborate and focus on ingenuity and innovation and to develop new products that will allow FLEXcon to maintain and diversify its customer base. The design and layout of the building will foster better collaboration, communication and cross-functional teamwork resulting in improved new product designs and faster speed to market which are essential to continue FLEXcon’s success. Construction will be managed by Cutler Associates is expected to be completed in the first quarter of 2012. A groundbreaking ceremony will be held on Tuesday, July 26, 2011 at 1 FLEXcon Industrial Park, Spencer, MA. The Label Manufacturers Association of India that is holding its first ever full fledged LMAI conference “Innovations in Print“ for its members is being flagged off this afternoon at Hotel Park Hyatt in Goa. The conference is all set to bring in the best minds in the country to discuss their expertise in providing the right solution for flexography as well as provide their in-depth insights and perspective on the future developments in the industry. The high-level LMAI conference will take off post lunch today with the lighting of the traditional lamp and a welcome note by Vivek Kapoor, President – LMAI who will welcome all the delegates to the conference. This will be followed by an Indian success story by Ajay Mehta of SMI Coated Products. The conference agenda has been designed in such a way that everything from pre-press to press to post press including consumables is covered. The pre-press section will take off on the first day of the conference with a presentation by the Vice President (Asia Pacific & Japan) of Esko Artwork on “Security designs and anti-counterfeit techniques”. Avery Dennison is the Platinum sponsor to this event and has joined hands in a big way. The Gold Sponsors are Creed Engineers, Kurz, Esko Artwork and Dupont; while Mark Andy and its Indian arm Flexo Image Graphics, Heidelberg / Gallus, Flint Group, Label Planet, Nilpeter, Reifenhauser and SMI Coated Products are Silver sponsors to the event. Global anilox roll supplier Harper Corporation is known as a company that takes an engaged and innovative interest in the flexographic industry, due to its contributions to many industry-shaping conferences and other events around the world. 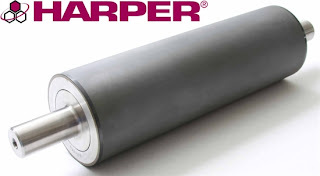 Recently, Harper Corporation has upheld this reputation by participating in the Asiplastic Conference. Held on July 13 and 14, 2011 in San Salvador, El Salvador, the Asiplastic Conference was attended by over 300 flexographic converters and suppliers, which is a record turnout for the event. Harper Corporation’s Juan Bermúdez, who is the Sales and Service Manager for Latin America, gave a presentation concerning the anilox roll selection for new pre-press technologies. “Helping the flexographers to determine the best anilox specification for the new pre-press technologies, allows them to take advantage of the benefits that those technologies provides”, commented Bermúdez. Bermúdez’s presentation, which lasted for 45 minutes, was well received by conference attendees. In addition to this presentation, Harper Corporation contributed to the event with an active tabletop, which spoke largely to questions about XLT anilox technology and HarperScientific products. The survey, provided to Mashable.com, found that half percent of all smart phone and tablet users plan on looking up more information about a product by using a barcode. To go along with that number, between 55 and 57 percent of owners said they plan on using their smart phone to find more information on a product, and between 53 an 54 percent plan on using the mobile devices to use a coupon. When it comes to typing barcode labels to mobile devices and smart phones, companies may want to take notice of a recent survey by Group SJR and Liz Claiborne Inc.
"If the volume of inquiries at my own company is any indication, it appears to me that (quick response) code are very steadily percolating up into the mainstream," Chan writes. A Mashable editorial by CEO and Founder of Paperlinks Hamilton Chan said that he believes barcode use on retail products will come along quicker and more powerful than anyone thinks. 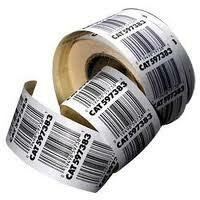 TEKLYNX barcode labeling software can help you create QR codes for smartphone scanning. Chan cited that the ways barcodes are being used now, such as when the Jimmy Fallon Show used a QR code to draw attention to Tyler, The Creator's website, are too straight forward and need to be thought of outside the box. He said it would be interesting if in a similar situation, the viewer was brought to a website with a coupon for a half-priced MP3 download. TekLynx is represented in India by Scan Infotech. The Label Manufacturers Association of India is holding its first ever full fledged LMAI conference “Innovations in Print“ for its members from 29-31 July 2011 at the Hotel Park Hyatt in Goa. The conference is all set to bring in the best minds in the country to discuss their expertise in providing the right solution for flexography. With the labeling industry opening up further, the event provides the ideal focal point for the Indian and international label industry to meet and identify the upcoming commercial opportunities available in this market. The LMAI conference will welcome senior industry experts who will be speaking to the delegation giving their in-depth insights and perspective on the future developments in the industry. The experts will also discuss case-studies at the conference that will help throw more light on a particular solution. The two-day conference program will cover many hot topics affecting the future of the local and international label market, including: trends in the Indian label industry; the economic outlook for India; increasing productivity and saving costs; the role of the Indian converter as a global player as well cover topics ranging from pre-press to printing as well as materials management to finishing. At the same time, converter panel sessions will also feature during the conference. The high-level LMAI conference will take off post lunch on the 29th July and conclude the day after on 30th. After the hard hitting sessions clustered with mind boggling details and knowledge on innovative developments in the field, the delegates would sure look for something entertaining to unwind. LMAI has arranged for some mind blowing performances by African drummers and a colourful entertainment program by “Manasi Scott” to make this event a memorable one. HP has recently today that Satergraf, of Terrassa, Barcelona, Spain, has added a new HP Indigo WS6000 Digital Press to supplement its existing HP Indigo press ws4500 to improve its production capabilities and increase opportunities. The launch of the HP Indigo WS6000 Digital Press with twice the print speed of the HP Indigo press ws4000 made clear to Bertomeu Bayo, CEO and owner of Satergraf, that there was an opportunity to improve processes and costs. "When got the news about the HP Indigo WS6000 my eyes opened wide as this press allows us to be competitive on longer runs. This, together with the fact that our HP Indigo press ws4000 press was already reaching overcapacity was what made me decide to buy it, " said Bayo. 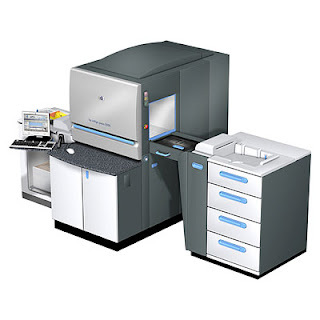 Memjet, the global leader in color printing technologies that provide remarkable speeds and affordability, today received the 2011 InterTech Technology Award from the Printing Industries of America, recognized as a symbol of technological innovation and excellence. This is the first InterTech Technology Award for Memjet and its blazing fast printing technologies. "According to our panel of judges, Memjet's disruptive technologies will prove to be a significant game changer within the printing industry," said Dr. Mark Bohan, vice president, technology and research at Printing Industries of America. "Memjet's printing technologies have the potential to shift the economics of the inkjet industry and ultimately reduce costs for consumers." Through its partners, Memjet is bringing its technologies to office, industrial, commercial and consumer markets to help change the way people print. Memjet-powered office printers, for example, print in beautiful color at incredibly fast speeds of 60 pages per minute (the fastest desktop printer speed in the world), while consuming considerably less energy than competing products. Around the world, original equipment manufacturers (OEMs) use Memjet technologies to power printers and printing solutions far beyond what traditional markets have come to know and expect. Memjet provides technologies and components to OEMs and partners in the office, labels, wide format and photo retail markets. The company's technologies are protected by more than 3,000 global patents, with another 2,000 pending. "This has been a pivotal year for Memjet as we commercialize globally with leading OEM partners including LG, Lenovo, Lomond, Kpowerscience Co. Ltd., OWN-X and Astro Machine Corporation, among others," said Len Lauer, president and CEO of Memjet. "We're extremely honored to be recognized by Printing Industries of America for our innovation and contributions as we continue to bring change to the industry through the creation of an entirely new category of printing - that of very fast affordable color." Domino will confirm its transition from supplier of part-personalisation technologies to fully-fledged digital press manufacturer at this year's LabelExpo Europe. Exhibiting for the first time in the digital press area (Hall 9 Stand H10) Domino will display two key technologies for offering fast and efficient digital label personalisation and short to medium run printing; the K600i single colour high resolution modular print bar, which can be integrated into an existing press or finishing line or supplied as a standalone roll to roll solution, and the next generation N600i four colour 13" (333mm) web UV ink jet digital label press. Both systems incorporate the smart features of Domino's i-Tech intelligent Technology and are based on UV curable ink jet technology, printing 600dpi at speeds of between 50 and 75 metres per minute. The K600i is the first product Domino has launched that moves away from remotely mounted individual ink jet print heads to a solution covering the full web with a single digital ink jet module. Delivering quality output that is comparable to pre-print, the K600i operates at double the speed of most comparable digital systems. Key to the appeal of the K600i is the capability to accommodate different print widths that can be easily achieved by stitching print heads together across the web, achieving a print width range from 108mm (4.25") to 780mm (30.8"), with scalability made possible by mounting print modules across a bar. In addition, the modified print head with circulating ink system delivers an even higher level of performance and reliability, printing at a native resolution of 600dpi with three or four selectable drop sizes and line speeds of 50 to 75 metres per minute with UV curable inks. It also supports variable data printing, barcodes, 2D codes including QR Codes, numbers, graphics, logos and personalised data in a range of different image sizes. Also on display in conjunction with the K600i will be the WebEx, a web handling extension for an existing re-winder or in some cases printing press, to facilitate variable data in-printing. The WebEx is designed to enable accurate material control essential for the high resolution print capability of the K600i, giving customers the opportunity to combine ink jet personalisation within an existing process. Domino will also be exhibiting its piezo ink jet N600i Digital Label Press, the only colour digital press to combine the productivity of flexo with the flexibility of digital printing. Operating up to 75 metres per minute and offering both a high 600 dpi native print resolution, as well as up to four greyscale levels, the N600i utilises one of the smallest drop sizes to deliver excellent fine print detail. It offer the fast change-over and short run length options traditionally associated with digital technology, but printing up to 1.500 m² per hour also makes long production runs cost-effective. In addition its automated functions such as print head cleaning, capping and alignment helps to maintain the highest levels of Overall Equipment Effectiveness (OEE). "The designs of both the K600i and N600i reflect a deep and long established understanding of ink jet technology that spans over 30 years," says Philip Easton, Director of Domino's Digital Printing Business. "In addition, Labelexpo will be the first show where we will begin to roll out product deliverables that reflect the company's increased commitment to R&D enabling us to develop leading edge technologies that make valuable contributions to the productivity and profitability of our customer's businesses." Domino's latest digital label technologies can be seen on stand H10 in Hall 9 at LabelExpo 2011. At Label Expo (Hall 7, Booth K92), Kugler-Womako will present new developments for both the cutting of plastic labels as well as a concept for efficient label matrix removal for pressure sensitive labels. For over 10 years, the LabelCut 102 from Kugler-Womako has been used throughout the world and enables customers to professionally convert wet glue labels from reels into strip piles. Kugler-Womako is building upon this successful technology: Its new development, a cutting capability for plastic labels, is targeted to the stringent requirements of this demanding niche market. "To meet our usual quality standards, even with these delicate materials, we have adjusted almost all individual stations." The company developed a collating area that makes it possible to collect sensitive plastic labels in strips smoothly and precisely. Even during operation, the collating area can be adjusted from outside to millimeter accuracy. "To meet the tolerance range of the connected machines, exact positioning of the strip piles, which are up to 110 mm high, is critical," says Herd. Another innovation of the Southern German company focuses on efficient label matrix removal for pressure sensitive labels. Especially for the thin and attractive "no label look" labels, it is difficult to achieve significant precision, particularly at high speeds. With its new concept, Kugler-Womako meets this challenge. Its solution for the converting of thinner label webs reaches a speed of 200 m/min and a width of 650 mm, without damaging the substrate. "Together with our customers and industry partners, we have developed a highly efficient concept for the label market and are now eagerly awaiting feedback from the knowledgeable audience at Label Expo," says Dr. Hakan Ispaylar, Managing Director of Kugler-Womako. Spread of spurious, counterfeit and substandard drugs is a modern day menace which has been recognised internationally, especially in India which is the leading distributor of spurious drugs and enjoys a share of 75 per cent in the total fake drugs supplied all over the world. The problem assumes added significance in view of rapid globalisation. To combat such menace, recently HP conducted PackEdge - a conference to combat drug counterfeit through digital printing solutions on 19 July 2011 at Mumbai. The event was attended by CEOs and brand owners of major pharmaceutical companies. The event was hosted in association with SGRE labels – one of the leading names in digital print service providers for labels and packaging catering to the pharma sector. A panel discussion with industry experts from Hindustan Unilever, HP, some brand owners emphasized on the need of authentication for drugs and create awareness for the same among the people. According to HP one way to fight counterfeit of any kind of product is to ensure better packaging. To explore this opportunity, HP is promoting its digital printing product - HP Indigo press ws4500, which it claims can prevent counterfeiting to a great extent. This teamed up with HP’s authentication services for counterfeiting will be a tool to counter fake drugs and products in the market, claims HP. The authentication service involves instant verification of a medication when a customer is at a drug store or street market. The software involves generation of codes and batch numbers for the pharma labels. Digital printing- The need of the hour Issues of counterfeiting are of critical interest to HP, both as a victim, and as the provider of solutions to the problem. In the label printing sector, HP Indigo presses offer a range of solutions to combat counterfeiting. They range from the relatively basic bar-coding, numbering and personalisation, to more elaborate solutions using UV techniques, microtext, 2-D barcodes, color coding, and smart packaging solutions. During a live demo at the conference, batch numbers along with a message were created and when this scribe sent one particular batch number for authentication, he got the reply within few seconds displaying the message. 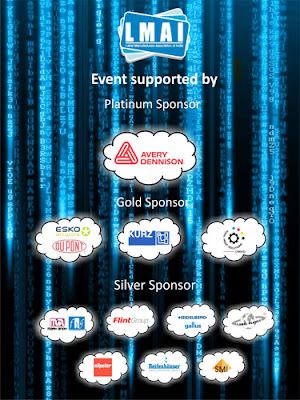 "This cloud system can do more than just authenticate. It can readily track and trace where drugs are at a certain time, providing valuable intelligence if drugs are stolen or accidentally sent to the wrong location," said Appadurai. The label and packaging digital solutions offers HP Indigo customers the tools to efficiently produce functional, versatile and affordable smart labels and packaging for use in anti-counterfeiting processes and supply-chain management operations, particularly in pharmaceutical pedigree label and packaging environments requiring full serialization. While the obvious lesson is to ensure that you buy from reputable sources with a supply chain that can be readily verified, counterfeiting presents HP Indigo press users with a unique opportunity to combat this crime while strengthening relationships with customers. Apart from medicines, consumer products are prone to counterfeiting. Appadurai added: "Here too digital printing can help reduce counterfeiting to a great extent. For instance a French wine company Chateau Carignan along with HP and a label manufacturer decided to print three different security features possible on HP WS4500. This exercise reduced counterfeiting of wine labels to a great extent." Rotocontrol has recently announced another successful installation of the EDM200 Over-printing Press at Coastal Labels, a Label Converter located in Cape Town. This latest installation marks the third EDM200 machine sold into this picturesque region of South Africa. Onsite during the installation was Pascal Aengenvoort, Director from Rototec, the local Agent for Rotocontrol throughout South Africa. 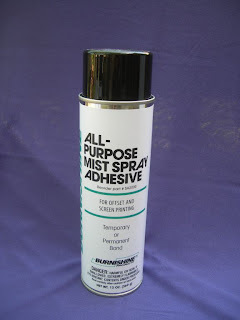 Burnishine releases new spray adhesive.. Since 1887, Burnishine Products has manufactured a broad line of pressroom and related chemical products, including plate chemicals, blanket and roller cleaners, fountain solutions, and a line of related cleaning products. Offset, flexo, digital, inkjet, and screen printers will find many Burnishine products to facilitate production. All Burnishine products are manufactured in the United States . Roland introduces industry's First Adhesiv-Backed Solvent Paper..
Roland DGA Corp. has expanded its Eco-SOL MAX certified media line to include Solvent Glossy Paper with Adhesive (ESM-SGPA). Tested and profiled for performance with the company's eco-solvent printers and printer/cutters, the new media is an alternative to vinyl for decals and mounting. It is available for use with Roland's newly launched VersaStudio BN-20, as well as VersaCAMM, VersaArt and SOLJET models. "Our newest paper media is a cost-effective and sustainable alternative to PVC-based products for signs, POP, photographic reproductions, trade show graphics or any other application where mounting is required," said Fernando Catania, product manager for Roland DGA Corp. "In addition to producing flawless print-only graphics, it performs well with Roland printer/cutters to create labels, decals and other contour cut images of virtually any shape." With an exceptional white point and gloss level, Solvent Glossy Paper with Adhesive produces sharp details and bold, saturated colors while minimizing ink usage and associated costs. This 8 mil glossy media is multicoated for water resistance and optimum durability, making it ideal for both indoor and outdoor displays. 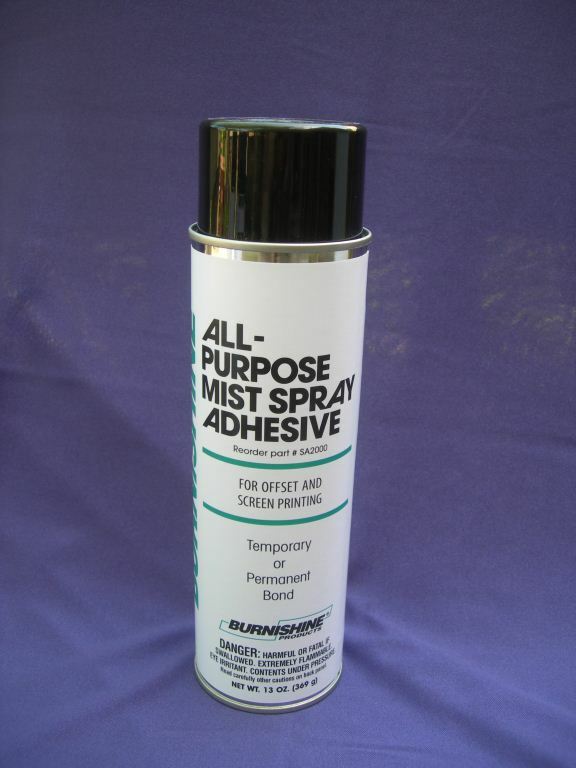 Additionally, the permanent water-based acrylic adhesive is backed with a silicone-treated liner for easy release and handling throughout the finishing process. 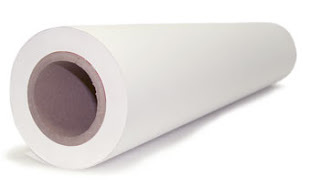 Competitively priced, Solvent Glossy Media with Adhesive comes in 30- and 54-inch roll widths for VersaCAMM, VersaArt and SOLJET models, with a 20-inch roll width offered for the VersaStudio BN-20. Headquartered in Irvine, Calif., Roland DGA Corp. serves as the U.S.-based marketing, distribution and sales arm of Roland DG Corp. in Hamamatsu, Japan. Celebrating 30 years of innovation, Roland provides business-critical solutions everyday to professionals across the sign, grand-format, sublimation, UV inkjet, digital graphics, vehicle graphics, fine art, dental, photography, packaging, label, engraving and 3D modeling industries. 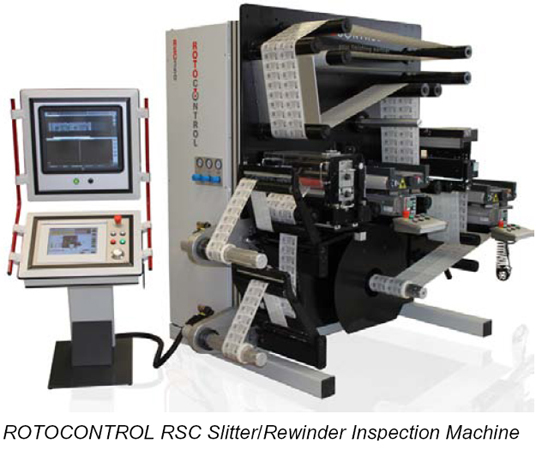 Roland DGA is ISO 9001:2008 certified, and Roland DG is ISO 9001:2000 and 14001:2004 certified. 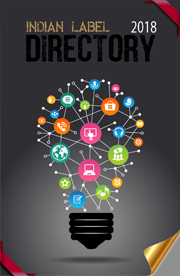 The LMAI Conference : Giving the industry a new direction.. 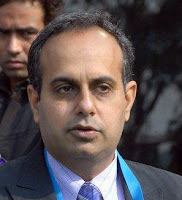 According to Harveer Singh Sahni of Weldon Celloplast,”The LMAI had been toying with the idea of holding a conference for long time and preparations are in full swing. The management team at LMAI headed by their President Vivek Kapoor is making efforts to make this conference a big success. The industry has welcomed the move and the event appears to be heading for a fully sold out situation! Leading equipment and material suppliers have seen the opportunity in this conference where the “who is who” of the Indian label industry will meet, and have come forward with sponsorships. Most of these renowned international companies are also sending in speakers to make presentations that will impart knowledge on innovative developments in the field. LMAI is making efforts to make this event a memorable one by arranging lunches, dinners, entertainment, celebrity performances, African drummers, etc. This is an evident effort to add value to the meet with good content, good entertainment and great networking. It is interesting to note that with the announcement of this event the LMAI membership has also started to grow,” added Mr. Sahni. 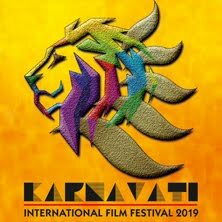 The conference will be rounded off with a gala dinner and a colourful entertainment program hosted by the glamorous singer, performer and actress “Manasi Scott” who was seen in the Bollywood film “Acid Factory” as well as the John Abraham starrer “Jhootha hi Sahi”. To read the article in full, click The LMAI Conference : Germination of a New direction..
Torraspapel, part of the Lecta Group, will be present once again at the world's largest event for the label industry, showcasing numerous innovations in its one-side coated, metallized, cast-coated and thermal label papers as well as its self-adhesive label materials. Torraspapel's presence at Labelexpo this year follows the announcement of investments of over 26 million Euros aimed at increasing the production capacity of the company's Metalvac and Adestor specialty paper ranges, demonstrating its commitment to diversifying its product range and its willingness to extend its leadership into new market segments. A new machine will be brought on line in Almazán (Spain), doubling current self-adhesive production capacity, and a state-of-the-art logistical center opened in Central Europe, thereby strengthening Torraspapel's service and market position in Central and Eastern Europe. The Adestor line of self-adhesive materials are products of recognized quality available in sheets and reels, offering multiple solutions for the most demanding label needs. The range, with a variety of colors, finishes and textures, is tailored to the different end uses for which it is intended, including food and beverage, retail, logistics and transport, and personal and home care. As to Metalvac, a line of 100% recyclable high-vacuum metallized papers, the new investment will allow for an increase in production capacity of approximately 70% in order to meet the needs of a growing sector, specifically in the label and packaging segment. The installation of a new metallizer at the Leitza mill (Spain) reflects Torraspapel's desire to grow in high added-value products. Metalvac is a product designed specifically for high-end beer and beverage labels, inner-liners and flexible packaging. Available in silver and gold, glossy and matt, Metalvac comes with different embossed finishes and is suitable for returnable container labels. Eurokote is Torraspapel's cast-coated paper with superior whiteness for prestige labels for the wine, spirits, champagne, luxury packaging, self-adhesives, advertising and publishing markets. Torraspapel recently extended its line of Creaset one-side coated papers with the launch of Creaset Suit. Specifically designed for color printing of all sorts of labels and flexible packaging, Creaset Suit is a glossy paper with high specific volume and opacity as well as rapid ink absorption that facilitates inline varnishing and subsequent finishing processes. Creaset Suit's sheet formation and physical properties give it substantial internal resistance and dimensional stability, enabling increased productivity in printing and finishing processes and final application on the package. With the aim of offering label solutions for direct thermal printing applications, Torraspapel has developed Termax, an extensive range of heat-sensitive papers. Used for sales receipts and tickets, Termax papers are also suitable for self-adhesive labels. All of Torraspapel's product lines are manufactured at sites holding ISO 9001 quality certification, as well as ISO 14001 and EMAS environmental certifications, and are available with PEFC and FSC chain-of-custody forest certification upon request. With a total production capacity of more than 1.1 million metric tons, Torraspapel is a pulp, coated paper, specialty papers and base paper manufacturer. It has invested heavily in its seven Spanish manufacturing sites, which have been equipped to specialize in specific product lines, with a high level of integration and technological know-how, resulting in better product knowledge, higher quality and excellent environmental positioning. Discover an endless world of labels at the Torraspapel stand at Labelexpo 2011, Pavillion 5, stand A72, from September 28 to October 1 in Brussels. Color-Logic develops color communication systems and software tool sets for a variety of special effect printing applications. Color-Logic provides brand owners, product managers, corporations, and their advertising agencies the ability to differentiate themselves and their clients with a simple print production process that yields dramatic results. Color-Logic special effects utilize the existing workflows of printers and designers, yielding dynamic results without the use of special equipment.